Each is about a year to 18 months. 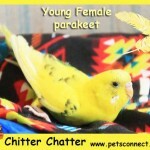 Chitter Chatter is probably the youngest. None are hand tame but they are not wild and aggressive either. With some time and training each of these keets could be a nice hand tame pet. 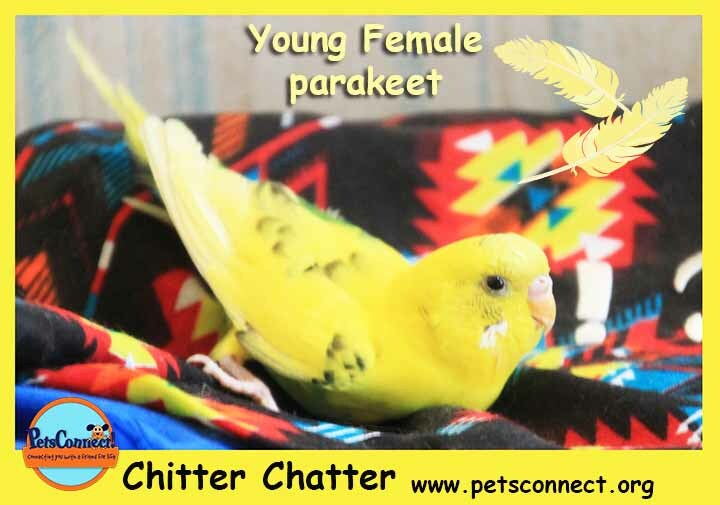 All three are healthy and do well with other parakeets as well as cockatiels. 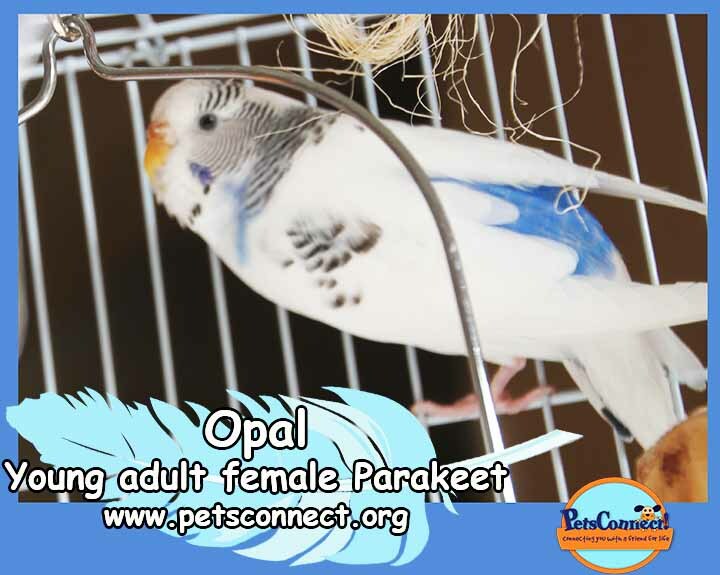 They are living in the same space as large birds and are use to a cockatoo opening their cage! 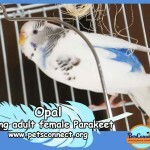 Adoption fee is $25 per bird. If you are interested in a pair, then $40 for a pair but a pair would be harder to tame. 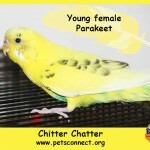 The Budgerigar commonly known as a Budgie is a small Australian parakeet that comes in many colors. 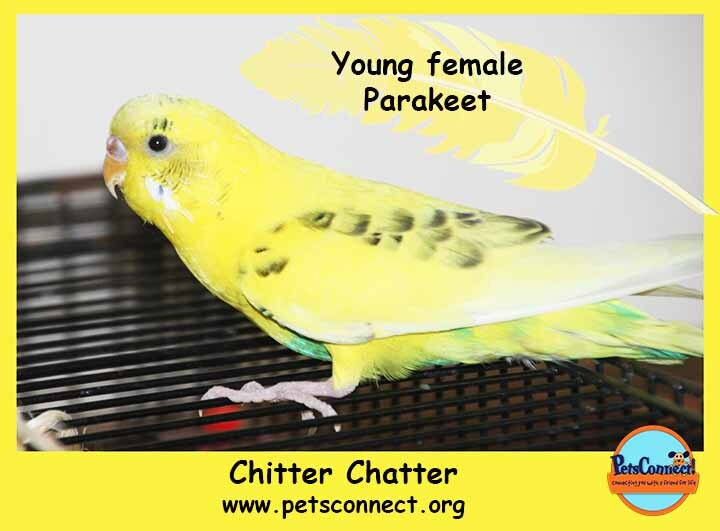 One of the most popular parakeets kept as pets they weight between 30 and 40 grams full grown and live 10-15 years on average. 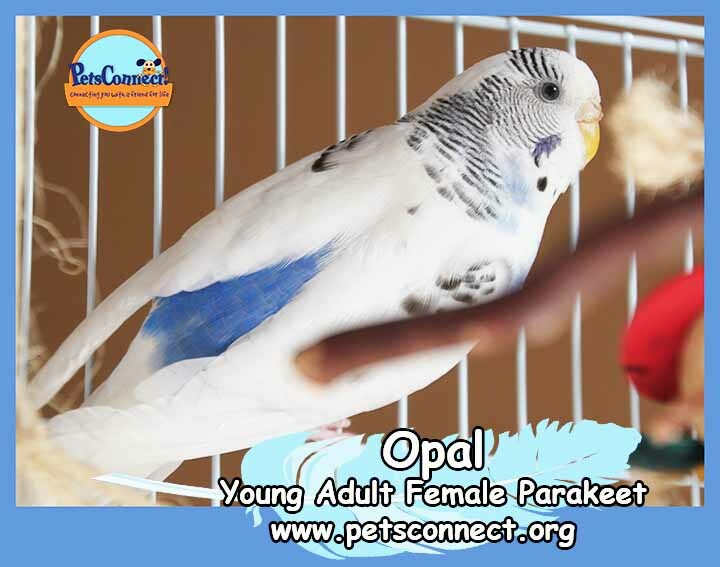 They are very social, can be very tame and love to chatter to you throughout the day, some will even learn to talk. 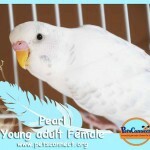 The small part right above their beak is called a Cere, this tells you the bird’s gender. 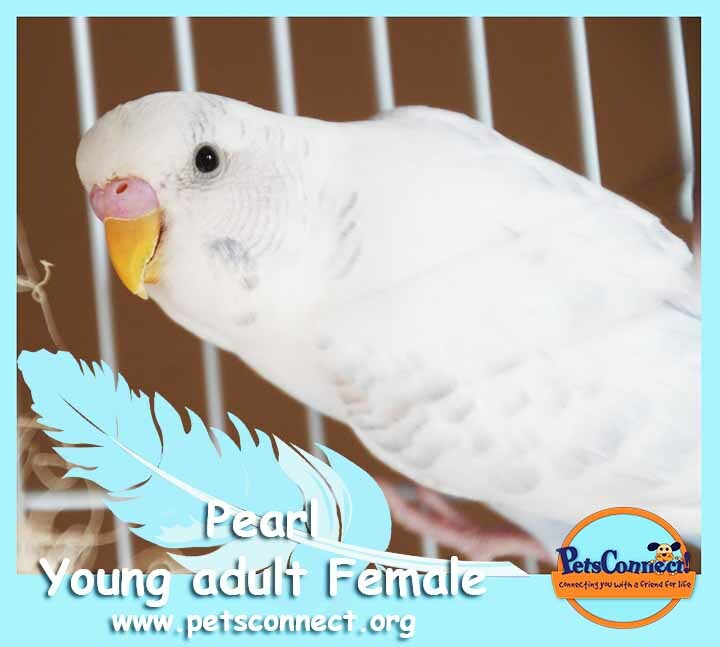 In adult males it will be blue, females tan or brown, in young birds the males will have a pink Cere and the females white. Budgies love to bathe in wet greens and are excellent flyers. They will need toys and swings in their cages along with things that they can chew on. 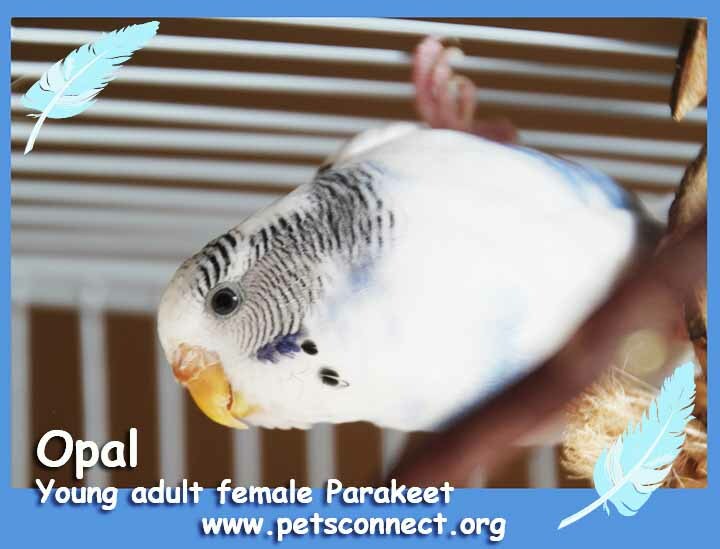 Budgies are a great first bird, have a sweet sound and are fun to interact with. If you are interested, please fill out an application and email it to us as an attachment. 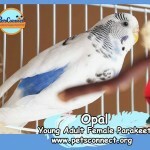 Want to Donate to give feathered friends a chance? Next story Royal Cora: A Shar Pei with Class!